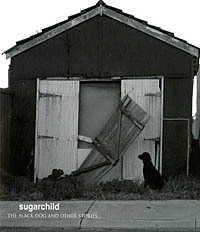 Having released two recordings at the very beginning of a decade that threw forth some sublime independent pop (Sugarchild) and a divine offering of electronica (Watch These Walls), in 2002 Sugarchild’s next recorded undertaking, Make It Happen, saw the trio venture into alt-country terrain. Five years later, their latest release-The Black Dog and Other Stories-still sees this intriguing ensemble embracing their musical roots. Flavored with airy acoustics and utilizing various combinations of electric guitar, piano, banjo, and accordion, the six compositions that constitute the trio’s fourth studio endeavor are as fresh and endearing as ever. In the same vein as their predecessors, the quivering innocence so lushly entrapped within Kate Attwell’s vocals empowers these songs with a poignant sense of purpose. The Sugarchildren have returned. And, dare I say, they’re better than ever.